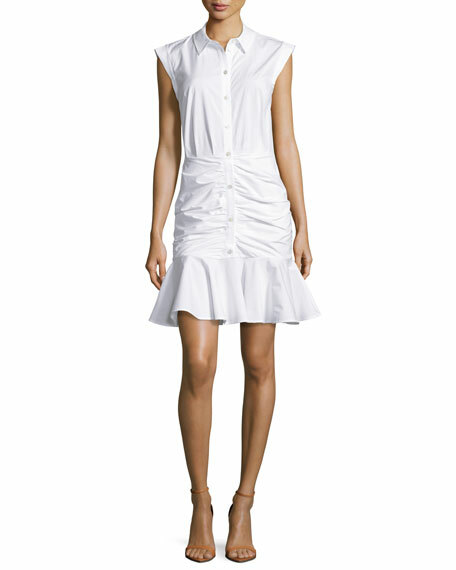 Veronica Beard "Bell" dress in stretch poplin. Aidan by Aidan Mattox gown in stretch crepe with crossover detail and front slit. Approx. 51"L down center back. Sweetheart neckline. Sleeveless/strapless. Column silhouette. Full-length hem. Hidden back zip. Polyester/spandex. Polyester lining. Dry clean. Imported. 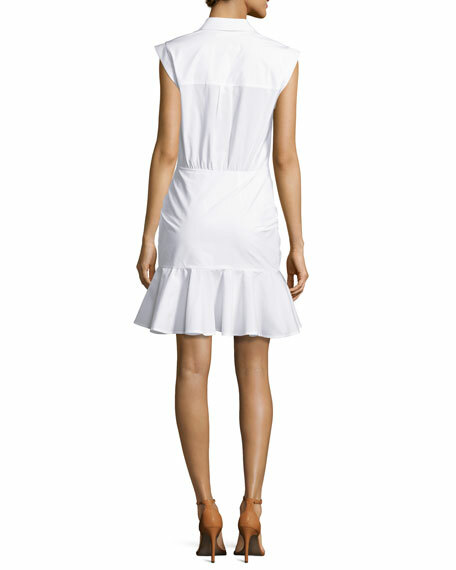 EXCLUSIVELY AT NEIMAN MARCUS Chiara Boni La Petite Robe "Siviliana" stretch-knit dress with ruched bodice. Off-the-shoulder neckline. Bracelet sleeves. Trumpet silhouette. Raw-edge hem for ease of tailoring. Step-in style. Nylon/spandex. Made in Italy. Please note: To dress, step into garment rather than pulling it over the head. MICHAEL Michael Kors animal-print dress. Scoop neckline; square back. Sleeveless. Fit-and-flare silhouette. Mid-thigh length. Straight hem. Pullover style. Viscose/nylon/spandex. Imported. MICHAEL Michael Kors animal-print dress. Scoop neckline; square back. Sleeveless. Fit-and-flare silhouette. Mid-thigh length. Straight hem. Pullover style. Viscose/nylon/spandex. Imported. Model's measurements: Height 5'10"/177cm, bust 33"/84cm, waist 25.6"/65.2cm, hips 35.8"/91cm, dress size US 2-4/FR 34-36.